The Gift, formerly The Gift of the Family Legacy, has been on a journey! From inception through 3 phases of beta-testing to now- ready to print the final version. The Gift (R) is a unique tool that equips Christians who desire to be spiritual influencers and impact the lives of those they love. Created with families in mind, this tool is designed to enable 3 generations of family members to gather around the table and engage with one another in meaningful conversations technology free. 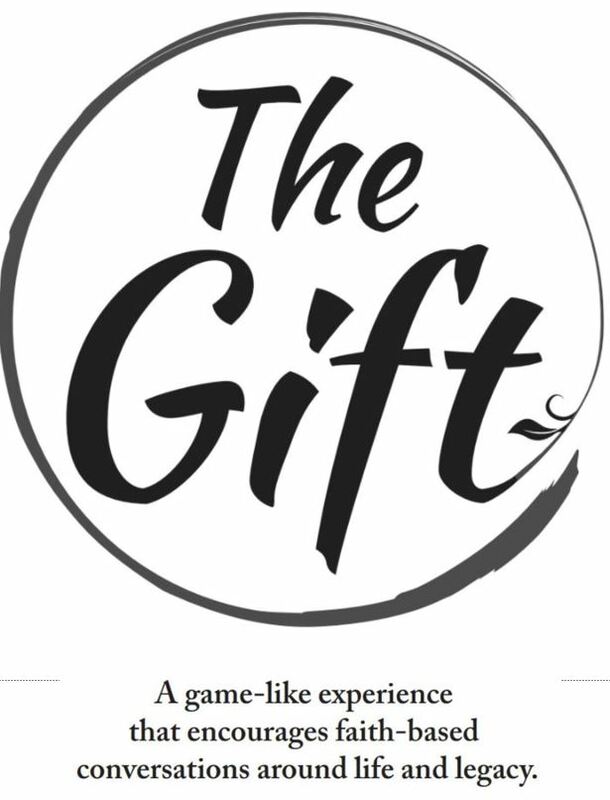 The Gift (R) has proven to be an effective and powerful tool with women’s, men’s and mixed groups of people. This tool has the ability to flex into a variety of different settings and groups. Using The Power of the Word of God as the foundation and inspiration, The Power of Strategic Questions, and The Power of Personal Stories we can get to the heart and break down barriers. The combination of these three powers creates a unique experience that endears people towards one another. Participants walk away having learned more about the ones they love and how those stories and lessons will be passed on to the next generation! This tool equips us to fulfill Psalm 78 that instructs us ‘to tell the next generation the praiseworthy deeds of the Lord, of His power and the wonders He has done’ in our own personal lives. This is meant to help those we love to see that God is real, alive, very active in our lives and desires to be known in their generation! In a very safe environment, people can experience the goodness of God. They can ‘taste and see that He is good’ through this experience. Please share with us your email if you would be interested in updates on the release of this tool. Also, share this page with family and friends who share the values that we have in creating this tool. The Gift of the Family Legacy (R) is a unique tool that equips Christians who desire to be spiritual influencers to impact the lives of those they love. Created with families in mind, this tool is designed to enable 3 generations of family members to gather around the table and engage with one another in meaningful conversations technology free. Using The Power of the Word of God as the foundation and inspiration, The Power of Strategic Questions, and The Power of Personal Stories we can get to the heart and break down barriers. The combination of these three powers creates a unique experience that endears people towards one another. Participants walk away having learned more about the ones they love and how those stories and lessons will be passed on to the next generation! This tool equips us in this modern day to fulfill Psalm 78 that instructs us ‘to tell the next generation the praiseworthy deeds of the Lord, of His power and the wonders He has done’ in our own personal lives. This is meant to help those we love to see that God is real, alive, very active in our lives and desires to be known in their generation! In a very safe environment, people can experience the goodness of God. They can ‘taste and see that He is good’ through this experience. Join us for this next phase of product development! As you will hear and see below, we are inviting people to help us make a greater impact for the sake of the next generation. Watch the video below, see glimpses of the Gift of the Family Legacy tool in action, and click on the link below the video to see how you can become involved. For those of you who might think of it as a game, it’s not quite a game. My family member who LOVE to play advanced board games said I can’t call it a game unless there is a winner. I said, ‘you are a winner if you play!’ That didn’t make the game minded persons cut. Therefore, we are calling it a tool to equip you to impact the next generation!